It's no longer a two-man race. Last week, our voters dubbed it a two-man Heisman Trophy race between Penn State’s Saquon Barkley and Stanford’s Bryce Love. 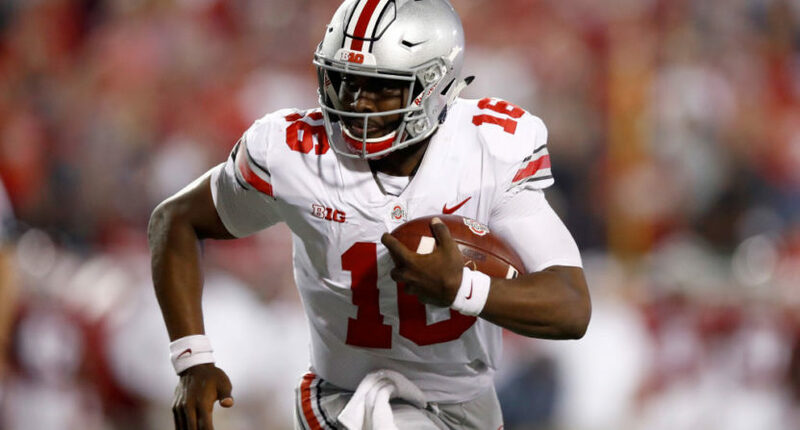 This week, Barkley dazzled early but was quiet late as the Ohio State Buckeyes came from behind and knocked the Nittany Lions from the ranks of the unbeaten. Stanford looked bad in a Thursday night win over Oregon State, while Bryce Love didn’t play due to injury. As a result, the Cardinal run game looked anemic. Would the idle date hurt Love or would his team’s lack of running game without him actually help his cause? The two leaders in the race did not do much to strengthen their cause this week. What type of movement would this cause in week four of our Heisman Poll? Let’s take a look at our fourth poll for 2017 and see how our voters see the race through nine weeks of the college football season. Without Love in the lineup, the Cardinal offense could only muster 222 yards against the 106th best defense in the land. That speaks volumes about how good he is and what a difference he makes when he’s on the gridiron. That’s enough to hold onto the top spot over JT Barrett… for now. 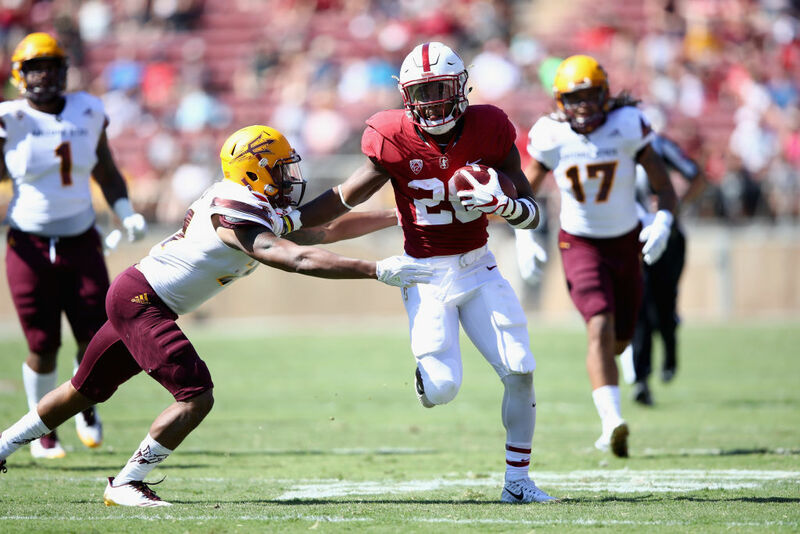 Last week, without Bryce Love, the Stanford Cardinal ran for 81 yards at an average of 3 ypc against the 1-6 Oregon State Beavers. Love is averaging 10.2 ypc and 198.1 ypg. Last week, we saw Love’s true value to the Cardinal and it’s why he’s the Heisman front-runner at this point in the season. Season: 801 yards rushing on 138 carries (5.8 ypc) with 9 rushing TD. 36 receptions with 3 receiving TD. 1 for 1 passing for 16 yds and 1 TD. 2 kick-off return for TD. Ohio State may have contained him as well as anyone could outside of one big touchdown run, but Barkley returned the opening kickoff for a score and will show why he is still so dangerous the rest of the season. His overall body of work still keeps him ahead of the pack, but the gap has narrowed with his recent outing at Ohio State. I feel like Barkley could be knocked from the top spot on my ballot, but not when Bryce Love had a bye week. Yes, Barkley only rushed for 44 yards against Ohio State, but he still made an impact in that game with two touchdowns. However, if Love’s next game is great and Barkley struggles against Michigan State, I could make a change. And I’m not so certain it would be for Love either, with J.T. Barrett and Khalil Tate playing so well recently. Last week: 33 of 39 passing (84.6% completion rate) for 328 yards with 4 TD and 0 INT and 95 yards rushing. Season: 171 of 246 passing (69.5%) for 2166 yards with 25 TD and 1 INT. 87 carries for 454 yards rushing with 5 rushing TD. – Bryce Love and Saquon Barkley are dead-locked at the top of our Heisman race. Barkely received one more first-place vote than Love, but Love placed on one more ballot than Barkley. This week is critical for both. Penn State and Barkley must rebound big against Michigan State and Love needs to once again put up some video game numbers against Washington State on the road. – J.T. Barrett played himself back into contention with his performance and the Buckeyes’ comeback win over Barkley and Penn State. Barring a Buckeye collapse, Barrett should be in the race for the rest of the season. – Baker Mayfield continues to loom outside of the top contenders. Mayfield is eighth in the nation in passing yards, second in yards/attempt, fifth in TD passes and second in passer rating. Oklahoma has a huge game this weekend against rival Oklahoma State. A statement win by OU and a big performance by Mayfield could be just what he needs to get him back into the race. – Arizona’s Khalil Tate has come on strong in the last few weeks. Despite sporadic playing time in his first four games, Tate is third in the nation in rushing yards per game behind only Love and Navy’s Zach Abey. Tate is averaging 13.4 ypc and he’s led Arizona to four straight wins. Tate and the Wildcats have a big game this weekend at USC.